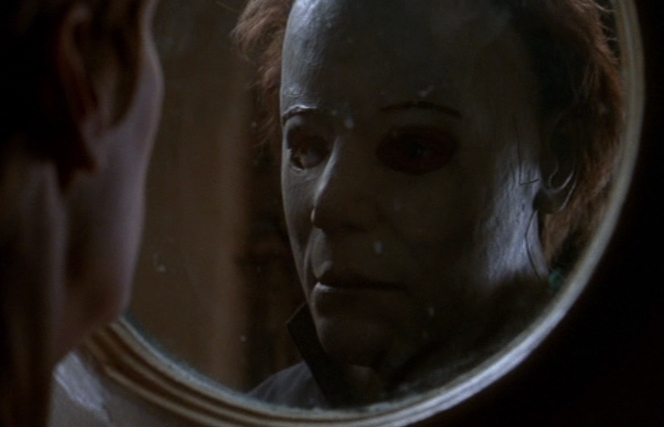 Halloween 2018 is still in pre-production, expected to start filming this fall for its October 2018 release, but some fans of the franchise have already decided who they would like to see cast in the iconic role of Michael Myers, launching a petition asking that the killer part go to Chris Durand, the man behind the mask in 1998’s Halloween: Twenty Years Later (H20). Chris tells us that he would love to play Myers again, if the opportunity arises. “It would be fun to reprise the role, especially with John Carpenter involved,” he said. We also asked Durand if could give any advice to whoever it may be, if it it’s not him, that ends up playing Michael Myers in the new film. A portion of the petition reads: Chris Durand is familiar to Halloween fans for having last played Michael Myers in the 1998 release of Halloween: 20 Years Later (a critical and financial success). For many fans of the series, Durand is the only actor (besides Nick Castle) to play the character of Michael Myers as he was envisioned by John Carpenter and Debra Hill. Physically, Durand closely matched the movements and rhythms of Castle, and also possess the imposing figure “the shape” was intended to have. To this day, Durand has remained physically fit, and active within the Halloween fan community–often speaking favorably of his experiences and the entire franchise in general. We believe these are the key elements that have set Durand apart from every other actor/stunt player which have inhabited the role of Michael Myers, and the elements which make him worthy of consideration. Ryan Hunter, who started the petition, further tells HDN, “I love the Halloween series. Each movie is unique and brings a new wrinkle to the story that makes watching any of them a fun experience, but as the series went on, I always felt they character of The Shape lost something with each return. It was like he slowly became this Frankenstein-like character. “I think what sets Chris Durand’s performance apart was partially due to the fact that H20 was a conscience attempt to return the series back to its original tone. Durand brought a very subtle touch of humanity to the part. You can actually tell his Myers carefully considered his moves, not mindless at all. Durand really returned the character to his original conception. Carpenter’s Michael Myers was just a man, and that’s the scariest aspect of the Myers character, that element of plausibility. “H20 still resonates, and I think if Carpenter is involved you have to assume they are attempting to go home again. Durand, I think, is the only actor that ‘got it.’ I’d love to see him don the mask again. As we previously reported, filming of the new Halloween movie is expected to begin this fall for its October 2018 release. David Gordon Green (Stronger, Our Brand Is Crisis, Joe, Pineapple Express) will direct from a screenplay by he and Danny McBride (Eastbound & Down, Vice Principals). John Carpenter will executive produce and may also score the film, with Malek Akkad producing for Trancas and Jason Blum producing for Blumhouse. Green and McBride will also executive produce under their Rough House Pictures banner. Zanne Devine and David Thwaites will oversee for Miramax, which is co-financing with Blumhouse. As I’m sure you are well aware, 2018 marks the 40th anniversary of the release of John Carpenter’s original 1978 Halloween. Durand’s portrayal of Myers was in the 1998 sequel, dubbed H20, which took place 20 years later, co-starring Jamie Lee Curtis, as well as Michelle Williams and Josh Hartnett. Chris Durand is Michael Myers in ‘Halloween: Twenty Years Later’ (‘H20’).